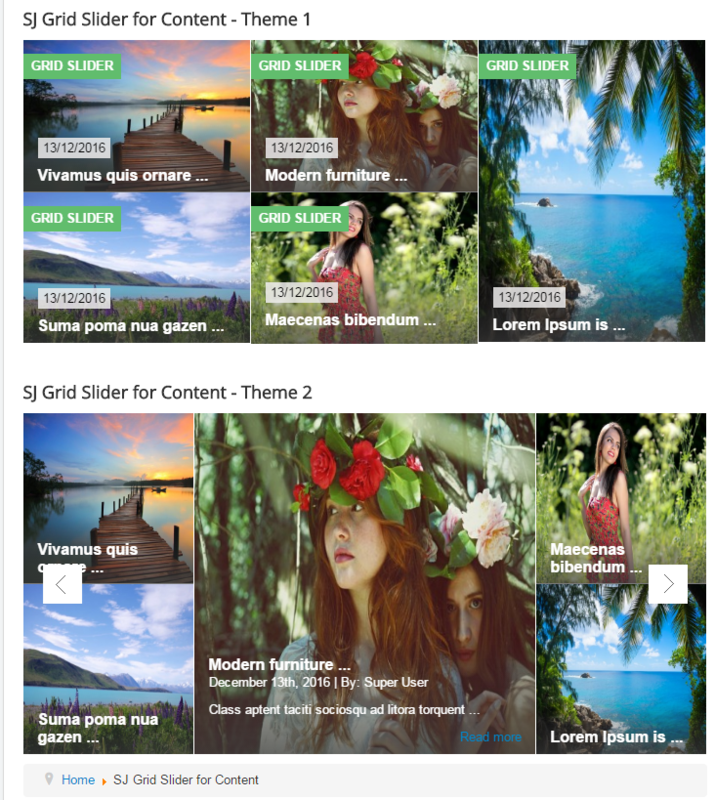 This guide will help you install SJ Grid Slider for Content module step by step. 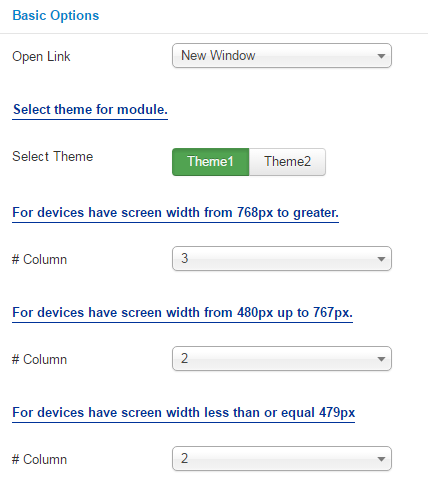 Select Theme – Allow you to select Theme1/ Theme2 for module. Data Source – Allow you to choose Categories. Child Category Articles – Include or exclude Articles from Child Categories. Featured Articles – Allow you to show/hide/show/ only display Featured Articles. 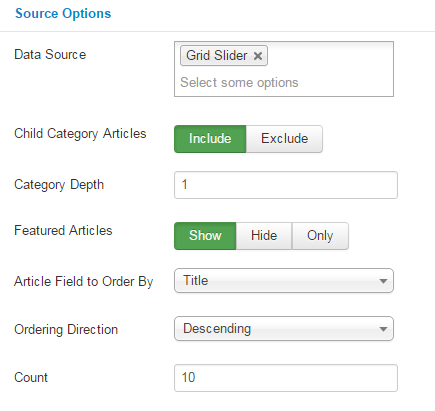 Article Field to Order By – Allow you to select which field you would like Articles to be ordered by. Featured Ordering should only be used when filtering Option for Featured Articles is set to “Only”. Ordering Direction – Allow you to select ordering direction: Ascending/Descending. 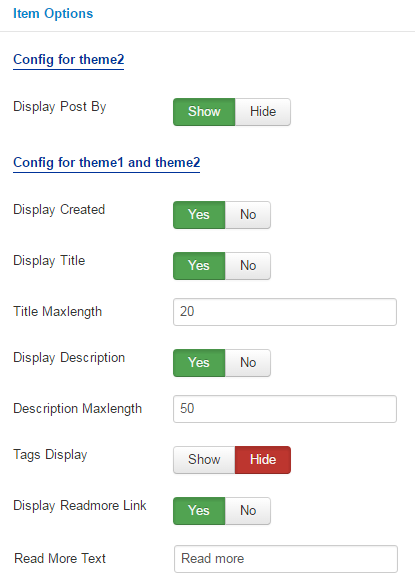 Count – Allow you to set number of articles which will be displayed in the module. Set value “0″ if you want to display all articles. Display Post By – Allow you to show/hide post by of item. Display Created – Allow you to show/hide created of item. Display Title – Allow you to display title of product OR not. Display Description – Allow you to display description of product OR not. 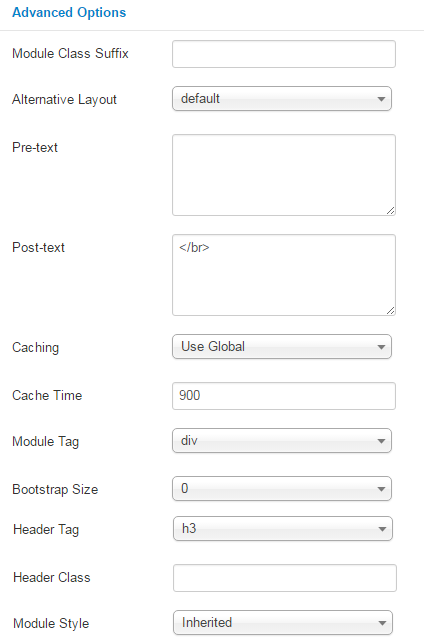 Tags Display – Allow you to display Tags or Not. Background – Allow you to set the color of big image background.This is applied for showing images without full background. If the image with full background, you can see nothing to change. Module Class Suffix – Allow you you you to style module with specific CSS suffix. 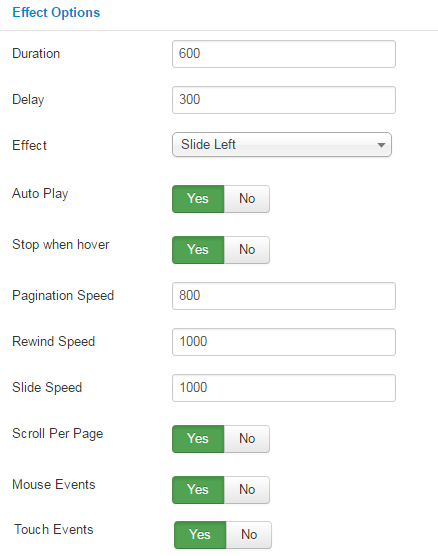 Alternative Layout – Allow you you to choose one custom layout for module. Cache Time – The time to cache.